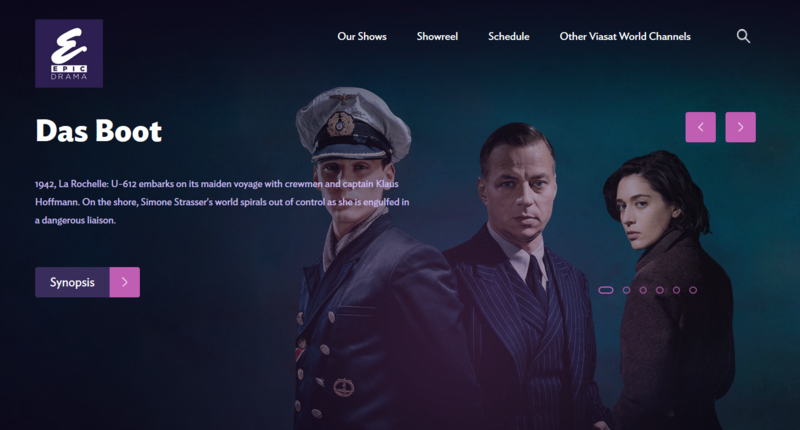 Viasat World’s Epic Drama channel and SVOD service have launched in Turkey for the first time via Turkcell’s over-the-top and IPTV platform, TV+. The deal marks the latest Viasat World brand to go live on TV+, with Epic Drama joining Viasat Explore and Viasat History. All three channels are dubbed in Turkish and available via OTT and IPTV. “Turkey is very well-known for its drama series. We selected Epic Drama as the first in the market to reach our subscribers with quality period dramas,” said TV+ business director, Baris Zavaroglu. Viasat World first launched Epic Drama in December 2017 and the channel is now available in 17 markets via operator partners in Central and Eastern Europe. Viasat World claims the channel has amassed some 10 million subscriptions to date. Epic Drama offers a range of period drama series across genres including crime and mystery, classic literary adaptations, politics and power, war, action adventure, real history and fantasy. Its focus is on series produced in the last three years. Turkcell’s TV+ service offers more than 170 live TV channels and an SVOD offering of movies, series and TV shows.